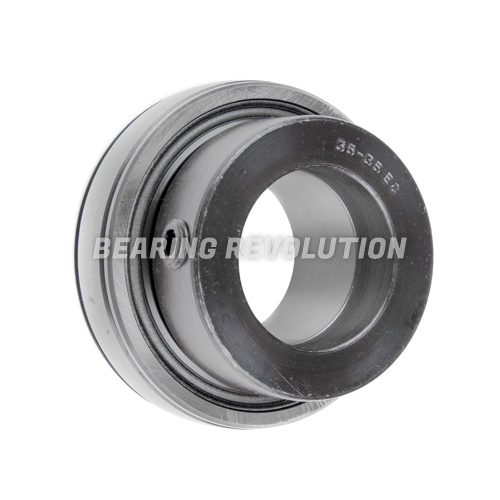 HOME > BEARINGS > BEARING INSERTS > FLAT BACK BEARING INSERTS > 1240 40 EC ( SA 208 ) - 'PREMIUM' BEARING INSERT WITH A 40MM BORE. Flat Back 'SA Type' Bearing Insert complete with Eccentric Collar lock to allow tightening against the shaft, from our Premium Range. 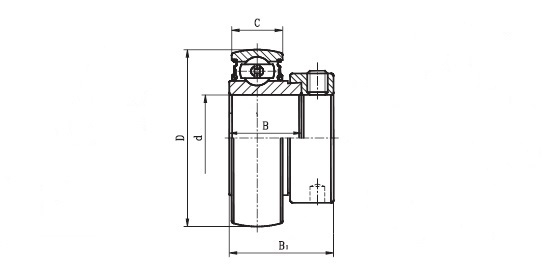 ID 40mm, OD 80mm, width 18mm. 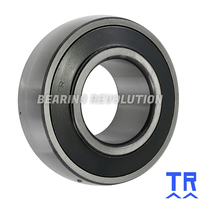 These bearings can also be supplied complete with Housings in our Bearing Units section. 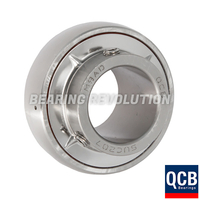 Specifications for 1240 40 EC ( SA 208 ) - 'Premium' Bearing Insert with a 40mm bore. 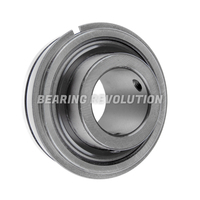 Schematic for 1240 40 EC ( SA 208 ) - 'Premium' Bearing Insert with a 40mm bore. 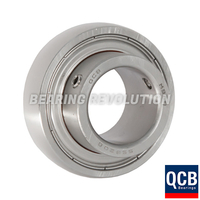 1120 .3/4 C ( ER 204 12 ) - 'Premium' Bearing Insert with a .3/4 inch bore.